If you've got an invention and you want to sell it, there are corporations and investors who want to hear your idea. But the patent business can be tricky one, especially if you aren't familiar with all of its legalities. If you educate yourself early, you're likely to find a new home for your basement creation and a lot of money as well. Corporations and investors are always looking for the next new trinket or invention that could make them money. In fact, many of the products you find on late-night infomercials were once the daydreams of would-be inventors. But if you plan to sell an invention, you should get a patent, which verifies the new creation as your personal work. Companies don't buy inventions; they buy the patent to mass-produce those inventions. File an application with the U.S. Patent and Trademark Office quickly, because it could be a while before your patent is awarded. Patents are protections of intellectual property given out in exchange for the disclosure of an invention. Because a patent is a government-regulated recognition of an inventor's exclusive rights to his creation, it stands up in court if someone else tries to steal your idea. Once you obtain a patent, you can sell it to an entity interested in doing something with it. If you fail to file an application for a patent within 1 year of your invention's creation and implement, you lose your right to claim that patent. It's essentially as if another person created it. It's wise to consult with a patent attorney before applying for a patent, and to use your attorney as a reference point throughout the process until you find a suitor for your invention and get the cash in hand. Patents can bring in a lot of money, but they are no guarantee of fortune. 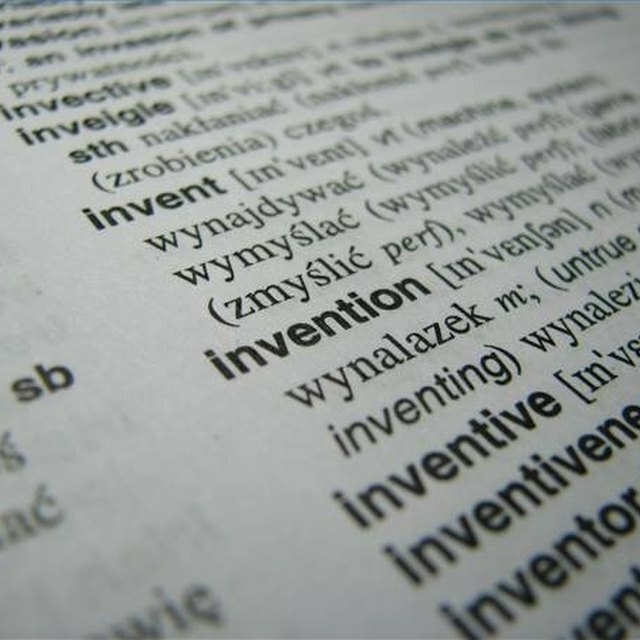 In fact, inventors may go through many patents before receiving a large sum of money. Though every inventor hopes to strike it rich, it's important not to get fixed on numbers before you get an offer. It's often the case that the amount won't match what you had dreamed of, so stay grounded and patient. Even if your inventions earn you only marginal figures early, there's no telling when an idea might arise that will surprise you with what it could earn. It could be worth an inventor's time--and money--to seek an intermediary to help find her creation a home. Yet2.com Chief Executive Officer Phil Stern told BusinessWeek his company can help match up inventors with some of its client companies: "We'll try to take it as far as we can in terms of screening and making sure it's a good fit before we make a direct connection, which usually results in a confidentiality agreement," Stern said.